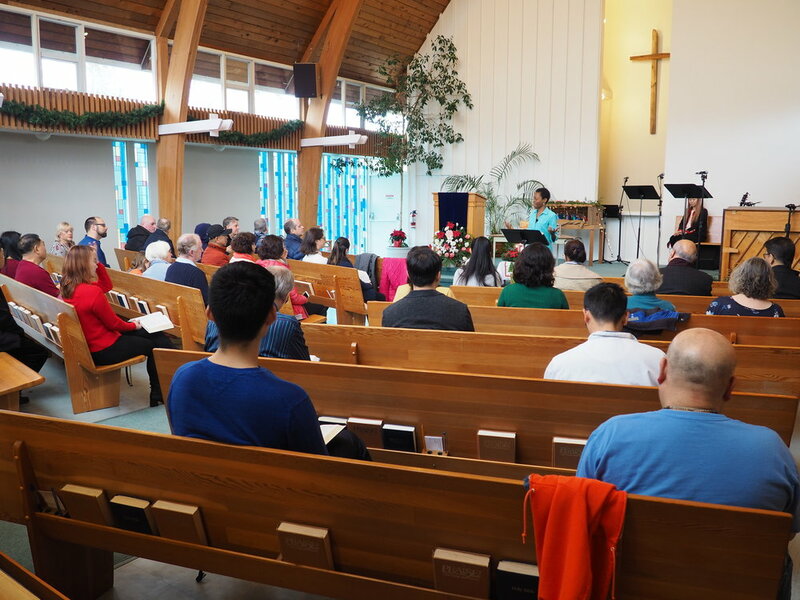 We gather at 10:00am on Sunday mornings to worship God with singing, prayer, preaching from the Bible, Communion (the Lord’s Supper), and fellowship. Our services usually go until approximately 11:30am. Dress: We are quite informal, and people dress according to their preference, whether that is jeans and a t-shirt, or a suit or dress. Parking: There are a few parking spaces in the alley behind the church, but most of us use street parking. Children: See below for childcare and Sunday school. Teens: We welcome teens to participate with the adults in the main service. Music: There is usually a mix of musical styles, including some hymns, and a lot of contemporary worship music. If you want to raise your hands or clap, you are most welcome! Communion: At Marineview we celebrate communion weekly. All who are drawn to the person of Jesus are welcome to partake. Fellowship: We have refreshments and conversation together after the service. This is a great opportunity to connect. On the first Sunday of each month, we gather downstairs for Communion Potluck Brunches, where we share food together as we celebrate who Christ is, what He has done, and His presence among us. After the meal, we sing a couple worship songs together a capella, and reflect on a passage of scripture. The communion reflection includes a short homily, and we conclude by praying the Lord's Prayer and singing the doxology. We provide childcare for infants and children up to age 5 every Sunday, after the first couple of songs. On Communion Brunch Sundays, children remain with their families during the meal. On the second and fourth Sunday of every month we have Sunday school for children in grades 1 through 7. On the first Sunday of the month we have our communion brunch which is a whole church event. And on the third Sunday of the month we have the children join the adults for a shorter more kid-friendly service. As part of that service, children are provided with activity kits they can work on during the service.